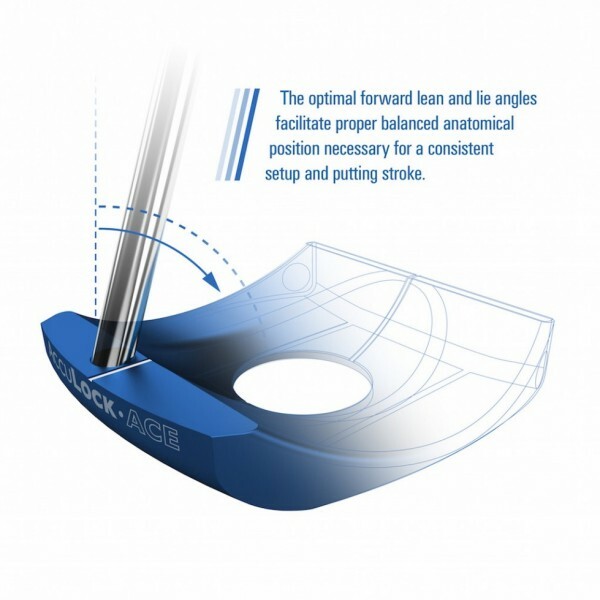 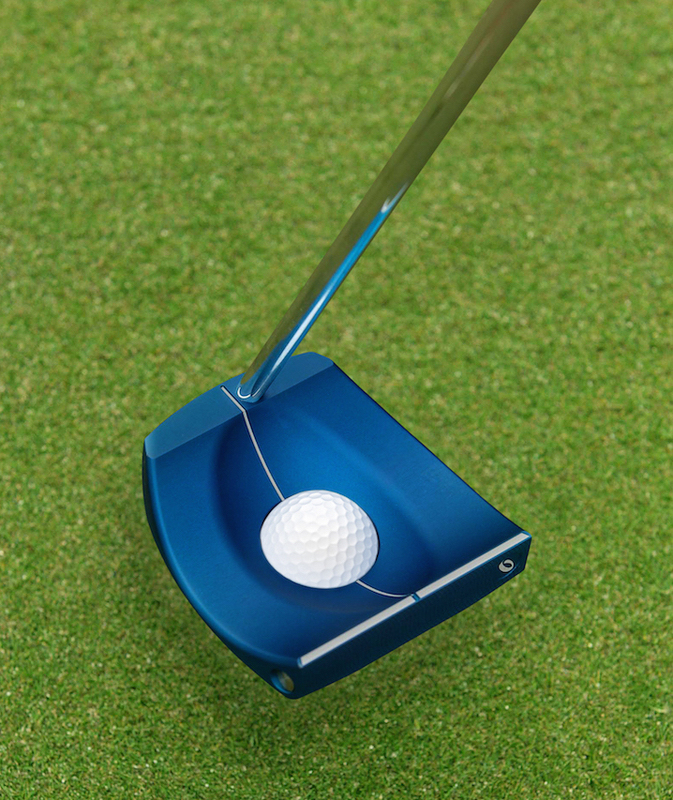 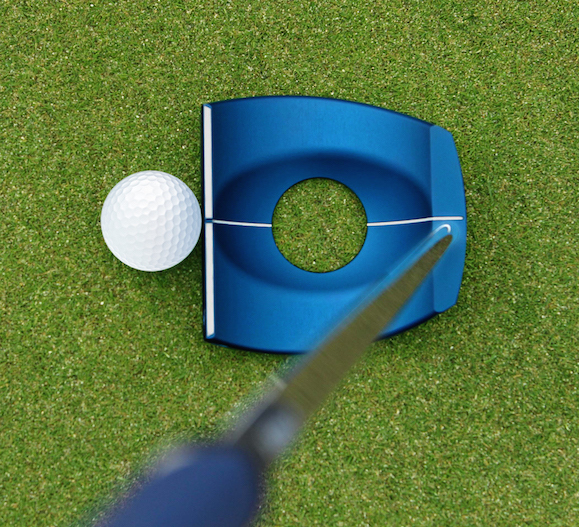 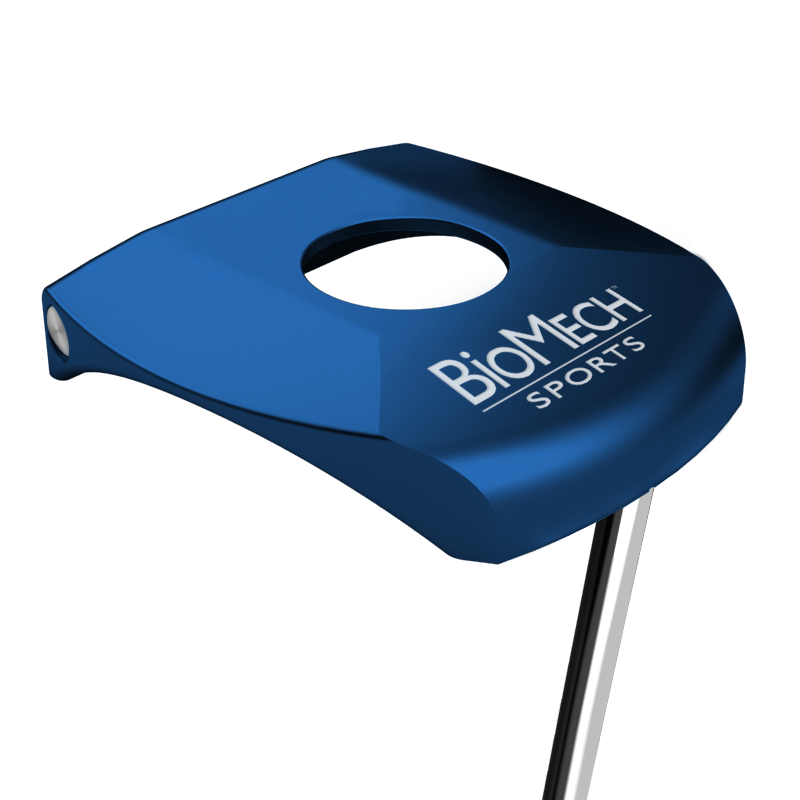 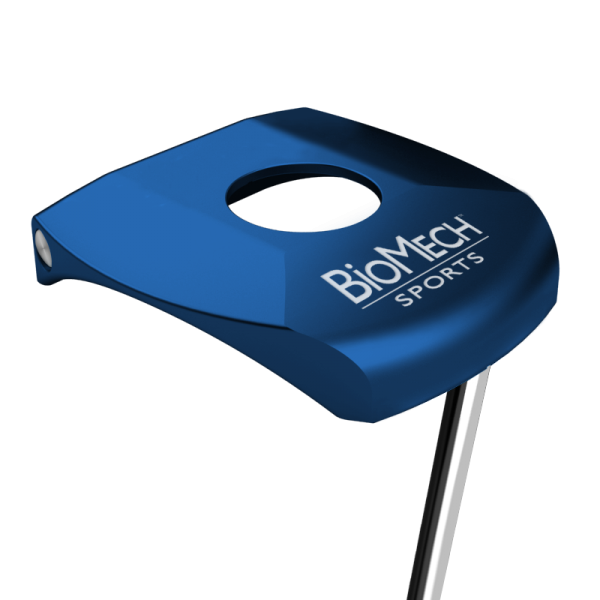 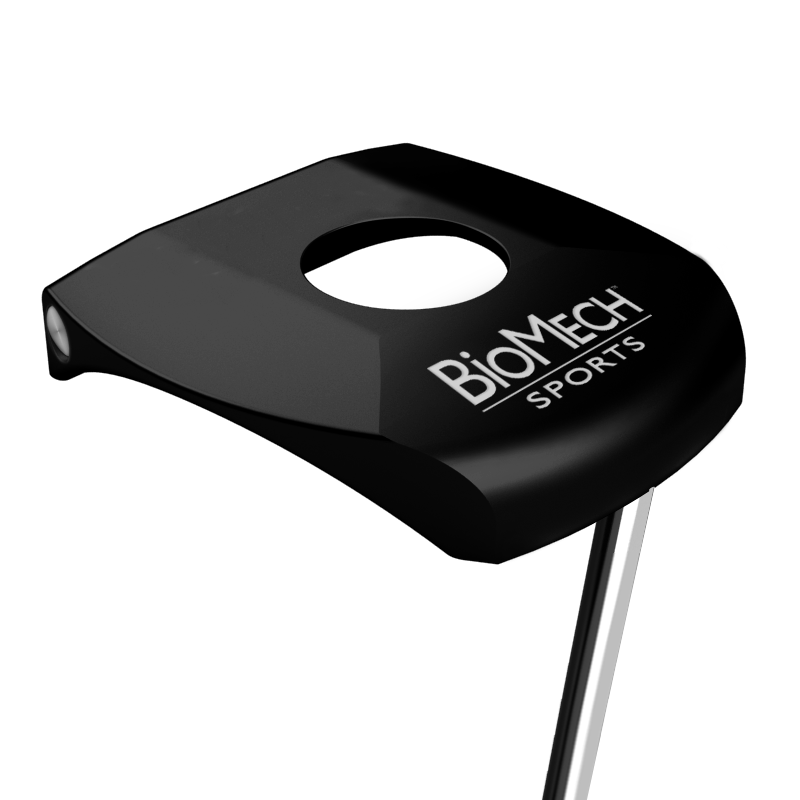 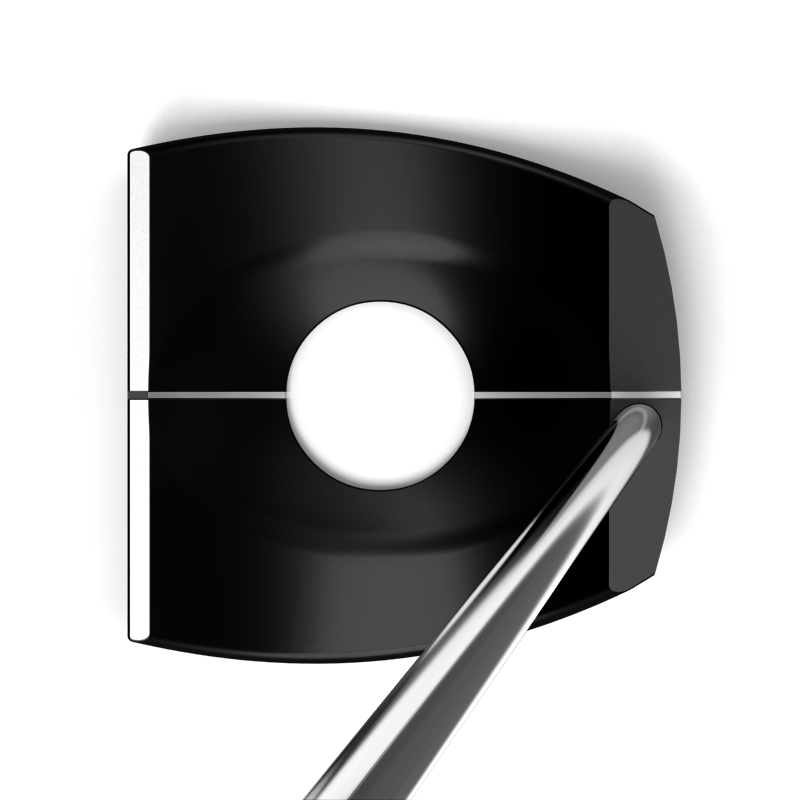 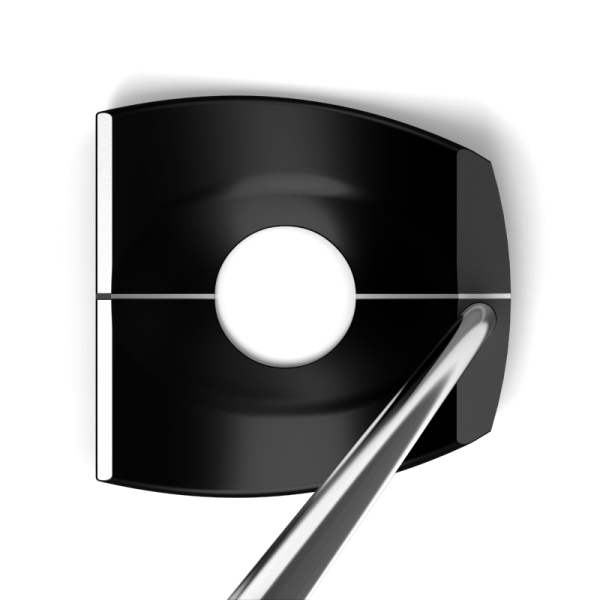 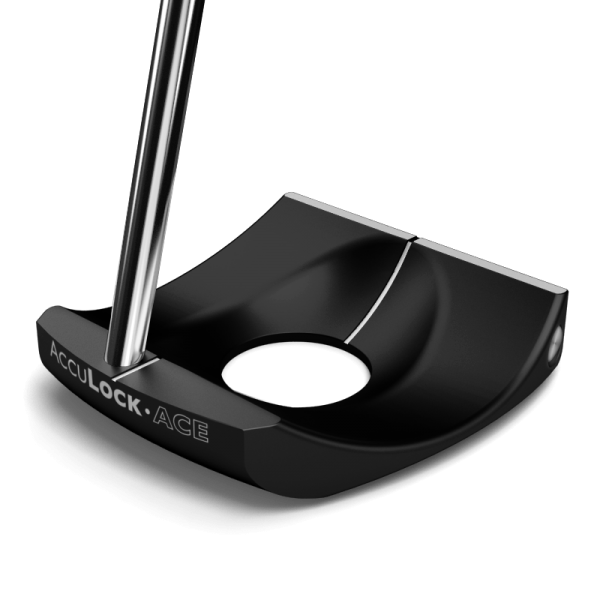 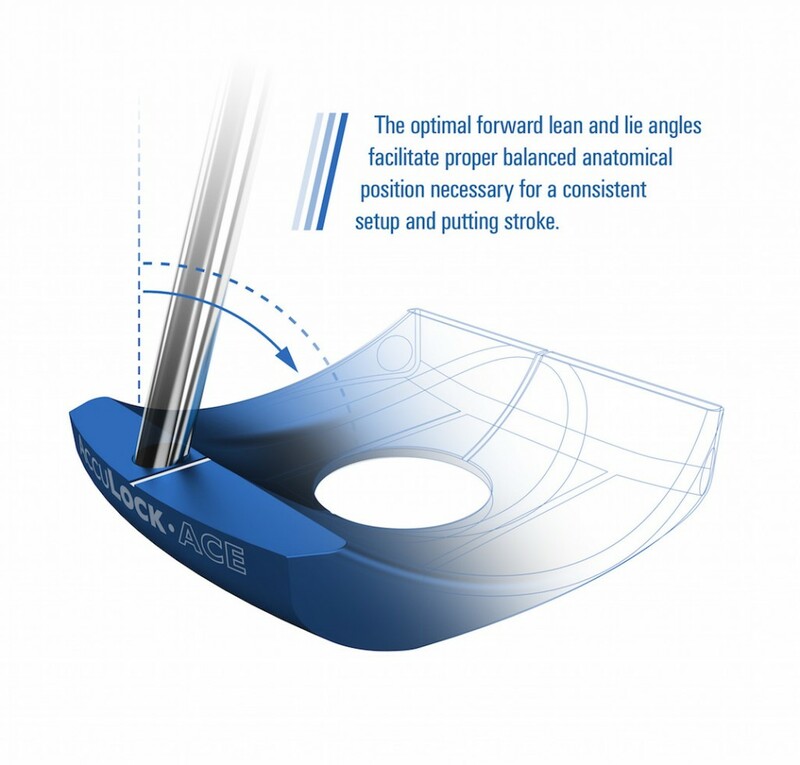 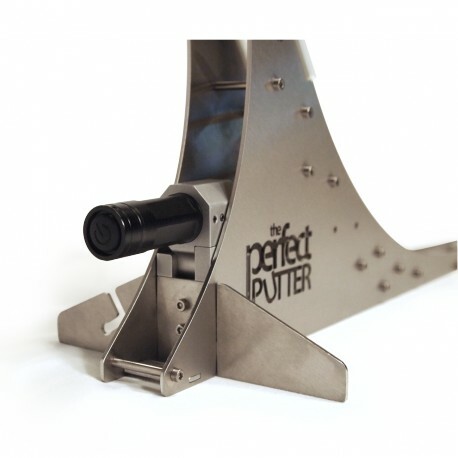 The AccuLock putter’s anatomically optimal design permits the grip to rest against the leading forearm’s inner surface, stabilizing the hands, arms, and shoulders. 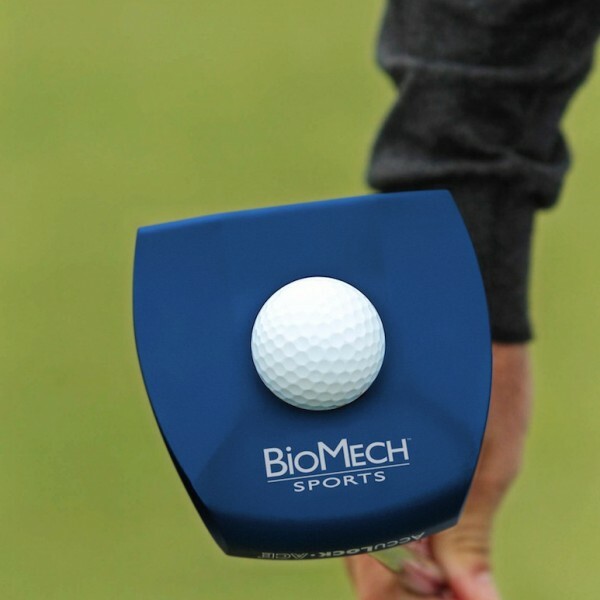 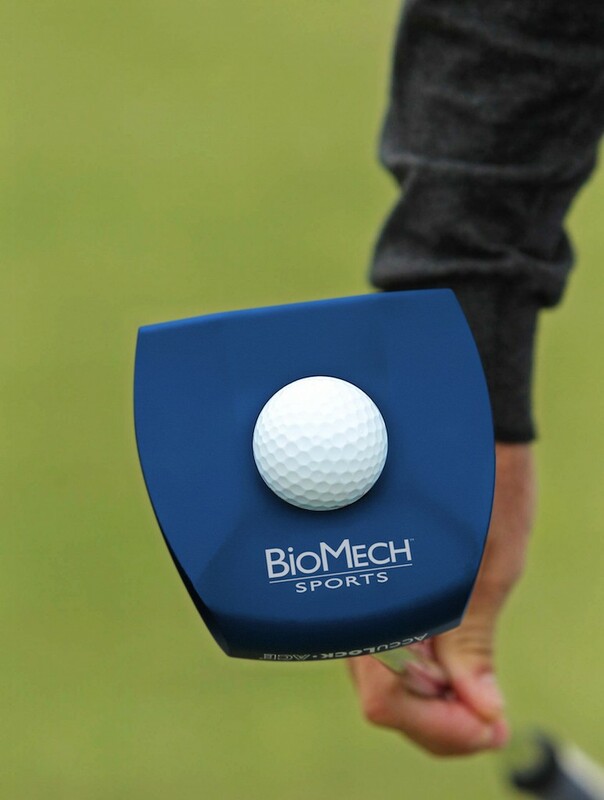 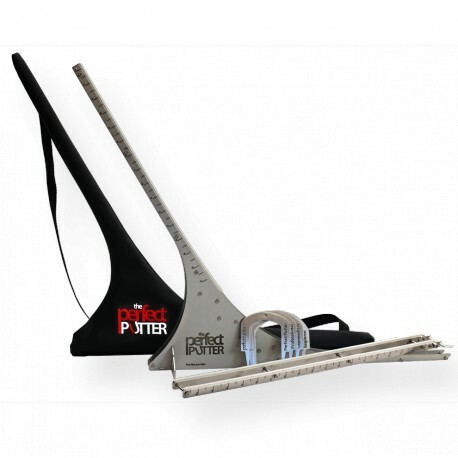 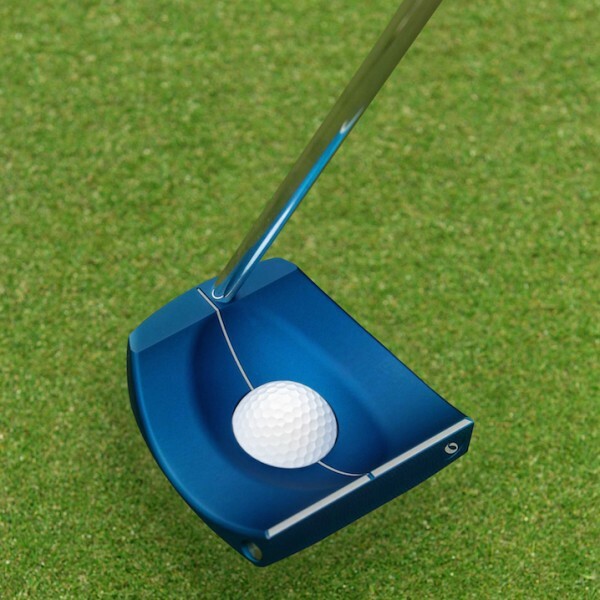 Using the core muscles and a stance that facilitates the simultaneous viewing of the target line and golf ball, this method reduces and/or eliminates hand, arm, and shoulder movements, resulting in more accurate putts. 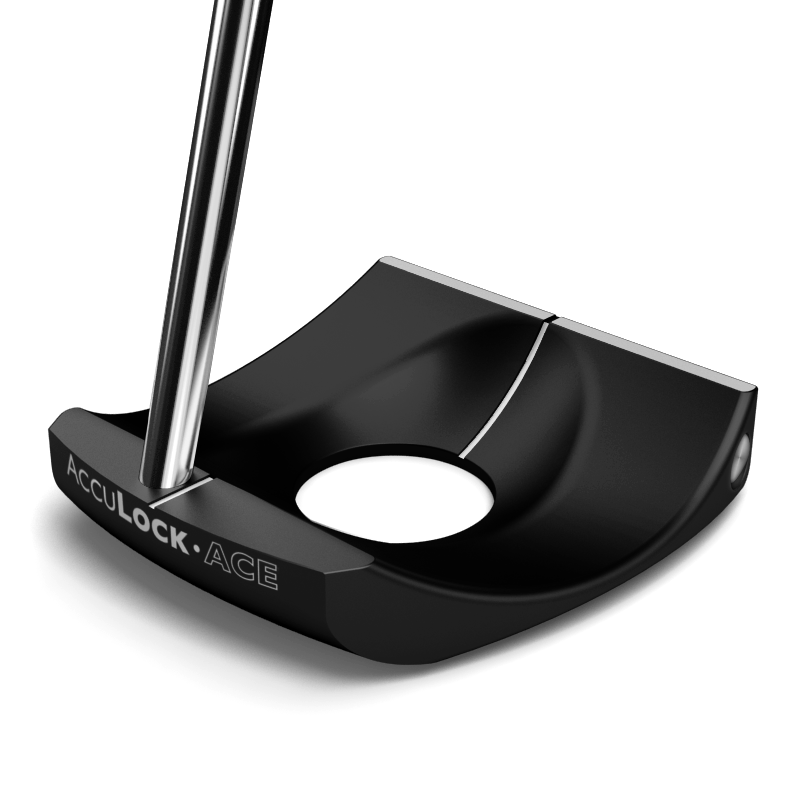 Each AccuLock ACE comes with a textured Winn grip and AccuLock ACE headcover.